On 11 February 1929, Benito Mussolini, the Italian Duce, signs the Lateran Pacts with the Vatican Secretary of State, acknowledging the Holy See’s full and exclusive ownership and sovereign jurisdiction over the Vatican City. The agreement puts an end to a dispute that had been pending between the Catholic Church and the Italian State since 1870, when Rome and the Pontifical State were annexed by the young Kingdom of Italy. With its 0.44 square kilometres of territory, the Vatican City becomes the world’s smallest independent state, located on the right bank of the Tiber, in the heart of the Eternal City. Governed by an absolute monarch, under the authority of the Pope, the Vatican is first and foremost a symbol of excellence for the Catholicism, and for Christianity in general. St. Peter’s, an expression of the church on earth sought by Jesus and a monument of inestimable artistic worth, serves as the setting for the main Catholic celebrations, including the solemn rites of Christmas and Easter, as well as the proclamation of new Popes, the funerals of deceased Pontiffs and the opening and closing of Jubilee years. After the death of the much loved Pope John Paul II in April of 2005, the conclave elected the German cardinal Joseph Ratzinger, who took the name of Benedict XVI. Announced with the traditional phrase Habemus Papam, the pontificate of the new Pope was quickly brought face to face with the difficulties generated by the inexorable process of secularisation. The dual secular and spiritual power – meaning a power that is ordinary, supreme, full, immediate and universal – exercised by the figure of the Pope lies at the centre of a thorny debate regarding the unquestionable moment of crisis experienced by the entire Church: a crisis of vocation, witness and credibility. Or, in a word, spirituality. 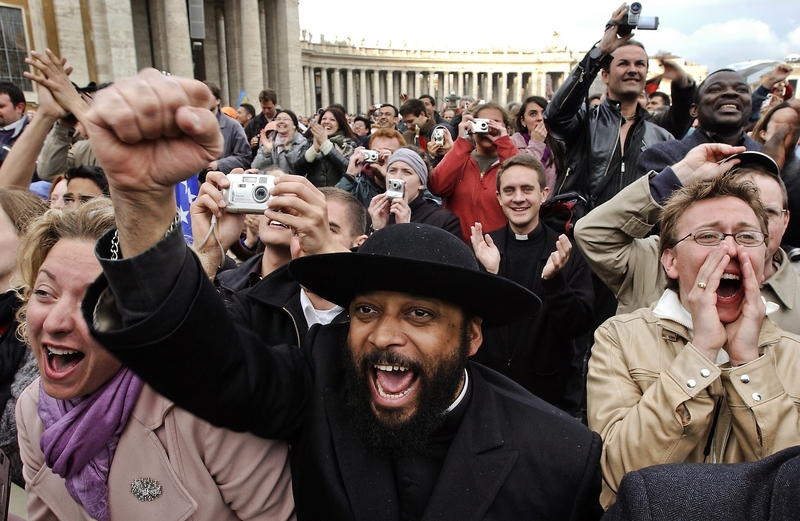 Faithful Catholics react as German Cardinal Joseph Ratzinger appears on the balcony of St. Peter’s Cathedral at the end of the second day of the conclave. 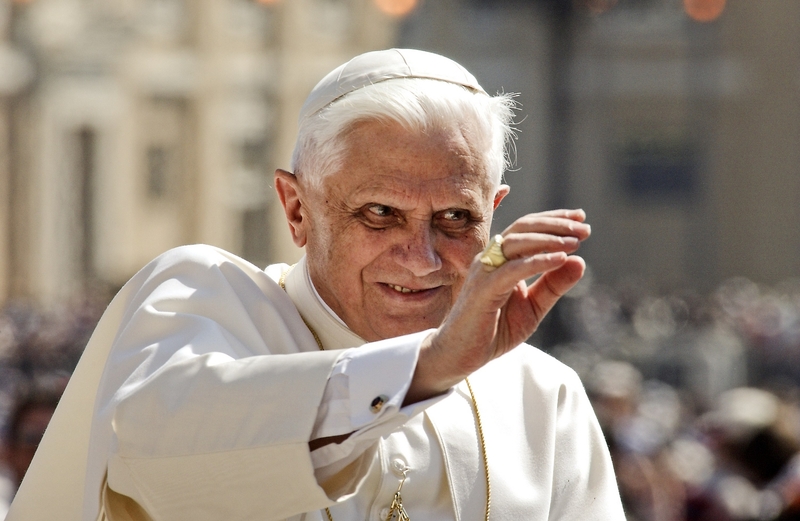 German Cardinal Joseph Ratzinger was elected the 265th Pope and will lead the world’s 1 billion Catholics. Vatican City – April 16, 2006: St. Peter’s Basilica during the Easter Mass held by Pope Benedict XVI. The Pontiff is celebrating his first Holy Week since his inauguration. 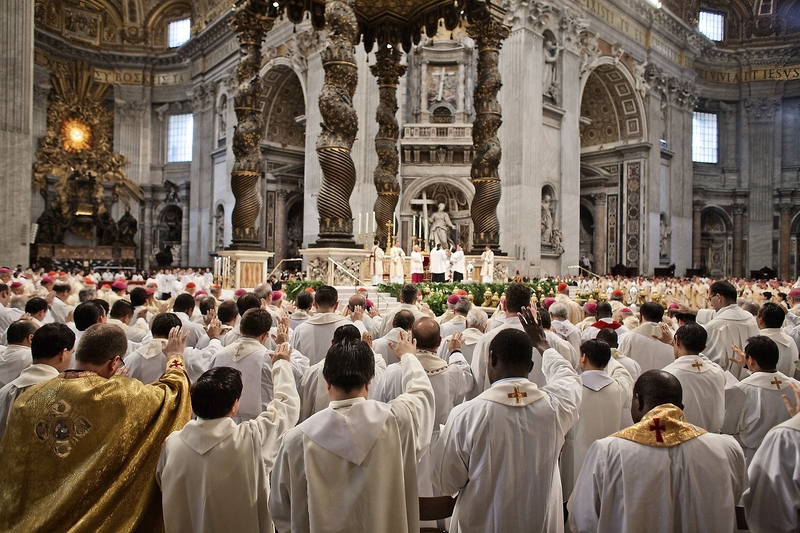 Priests, Bishops, Archbishops and Cardinals during the sacerdotal promise on the Holy Thursday Christmas Mass celebrated by Pope Benedict XVI. Pope Benedict XVI waves to a crowd of faithful Catholics as he arrives to hold his first general audience in St. Peter’s Square. Pope Benedict XVI held the first general audience of his new pontificate, pledging to work for reconciliation and peace. 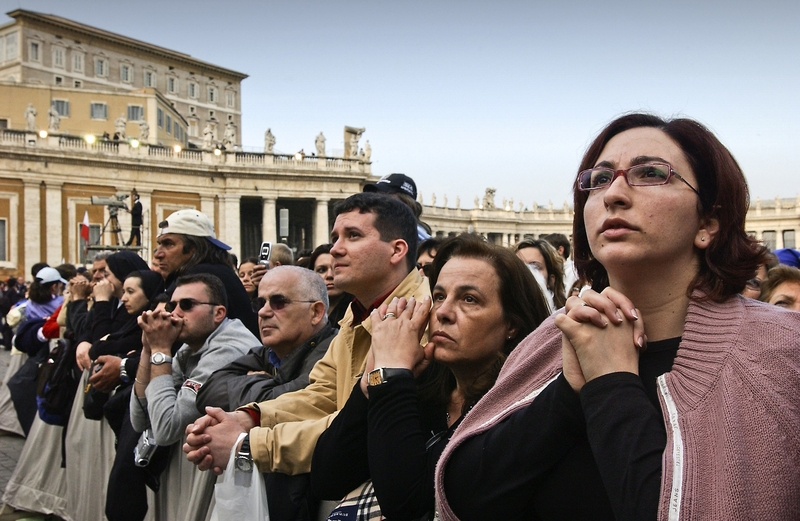 Faithful Catholics pray as the body of Pope John Paul II is carried through St. Peter’s square. Priests walk in procession in front of the Swiss guards before the body of Pope John Paul II is carried through St. Peter’s square. 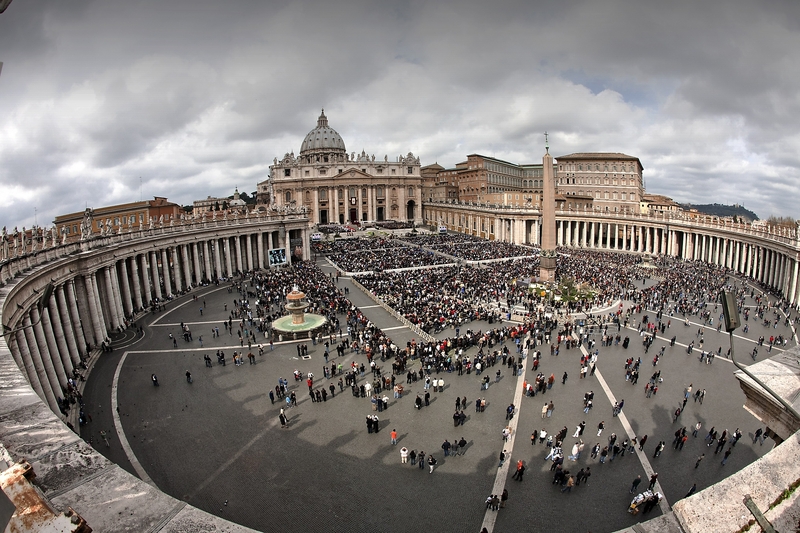 A general view of St. Peter’s Square filled with pilgrims during Pope Benedict XVI’s Palm Sunday Mass. 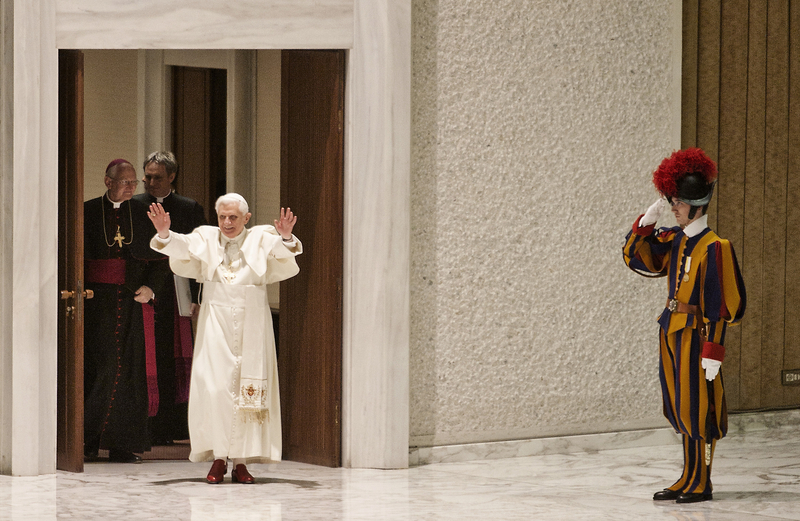 Benedict XVI opened the week-long celebrations for the Holy week at the Vatican. 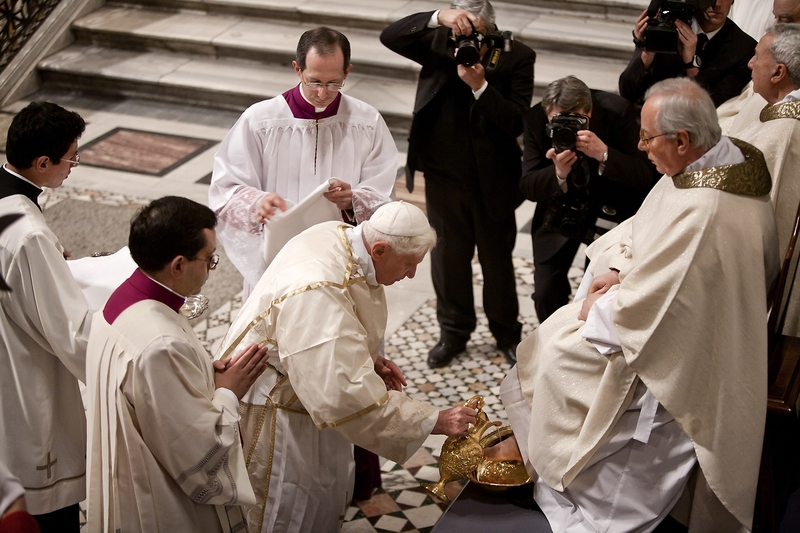 Pope Benedict XVI attends the Feet Washing Ceremony at the St. John in Laterano Basilica. 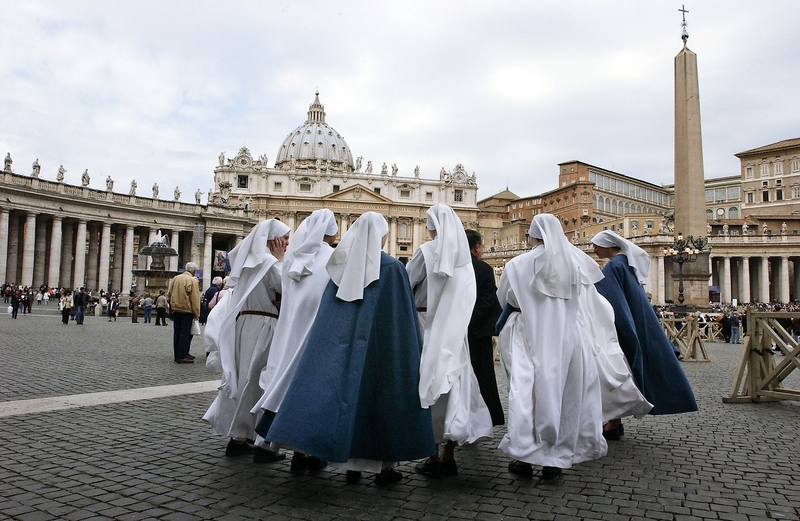 A group of nuns wait for the smoke to raise from the Sistine Chapel during the second day of the conclave to elect a new Pope in St. Peter’s Square. 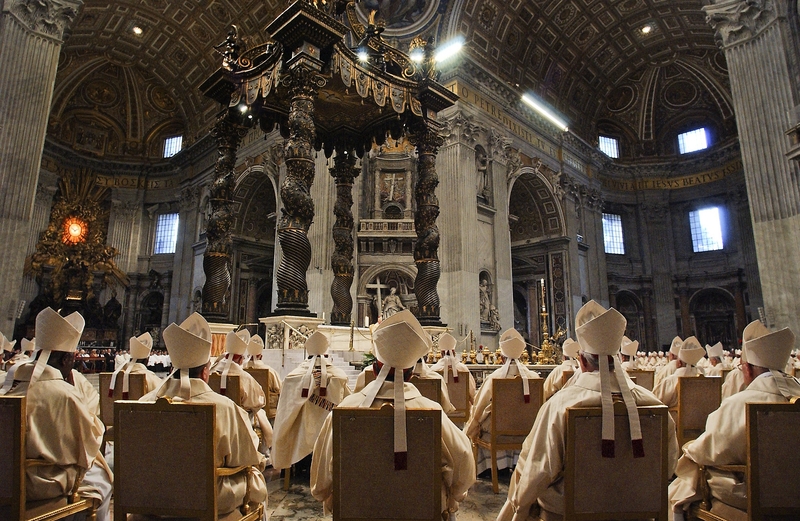 Cardinals under the age of 80 met to elect a new pontiff during the Conclave, which is traditionally held in secret inside of the Sistine Chapel. 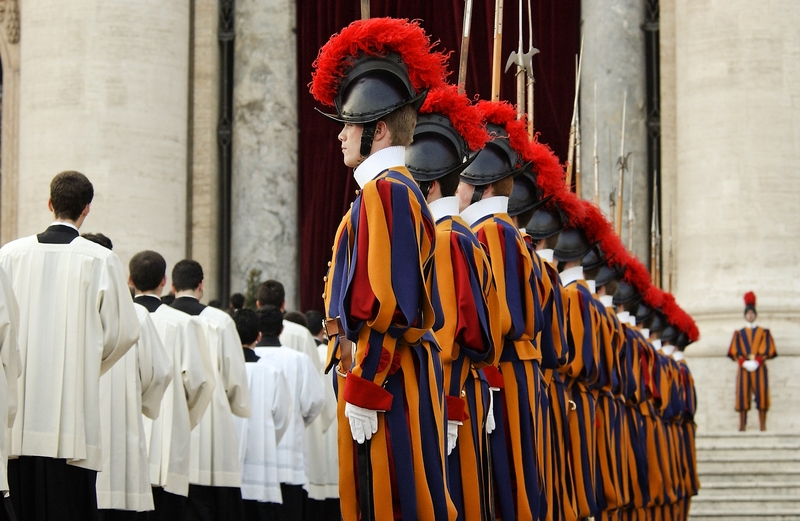 A Swiss Guard stands securing the Easter Vigil Mass celebrated by Pope Benedict XVI in Saint Peter’s Basilica. 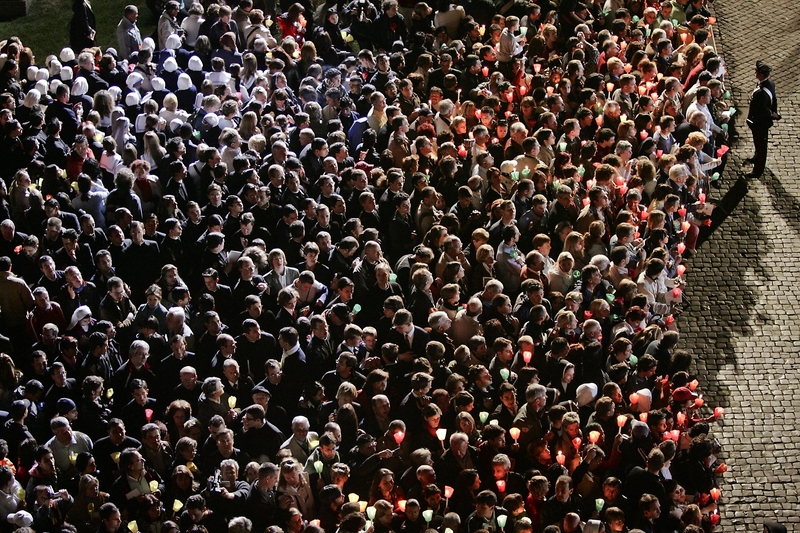 Faithful Catholics attend the Via Crucis (Way of the Cross) torchlight procession celebrated by Pope Benedict XVI on Good Friday at the Coliseum. The Pontiff is celebrating his first Holy Week since his inauguration. Bishops and Archbishops walk in procession at Palm Sunday Mass in St. Peter’s Square. 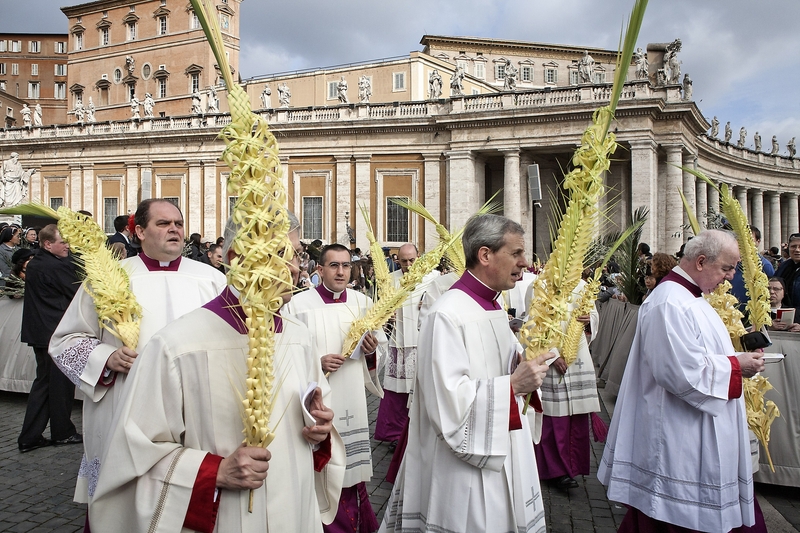 Pope Benedict XVI opened the weeklong celebrations for the Holy week at the Vatican. 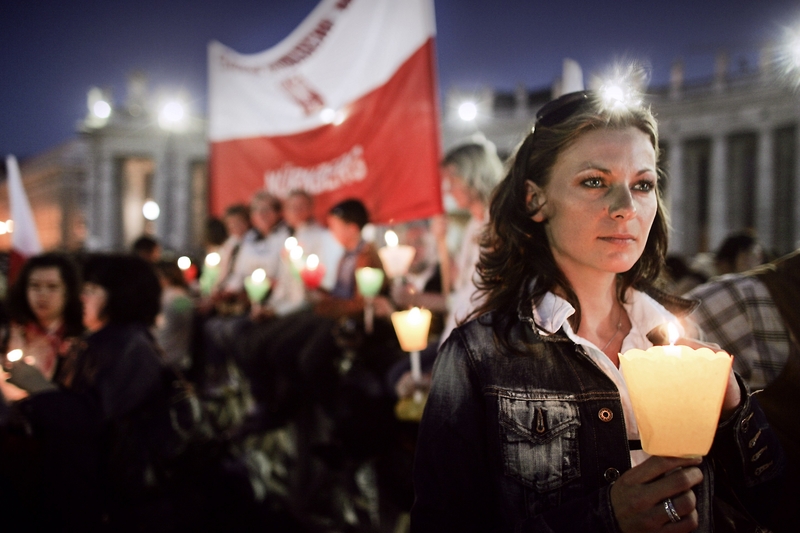 A faithful Catholic holds a candle during the Recitation of the Rosary to celebrate the first anniversary of the death of Pope John Paul II in St. Peter’s Square. The Roman Catholic Church celebrated the first anniversary of the death of Pope John Paul II with the Recitation of the Rosary organized by the Diocese of Rome. 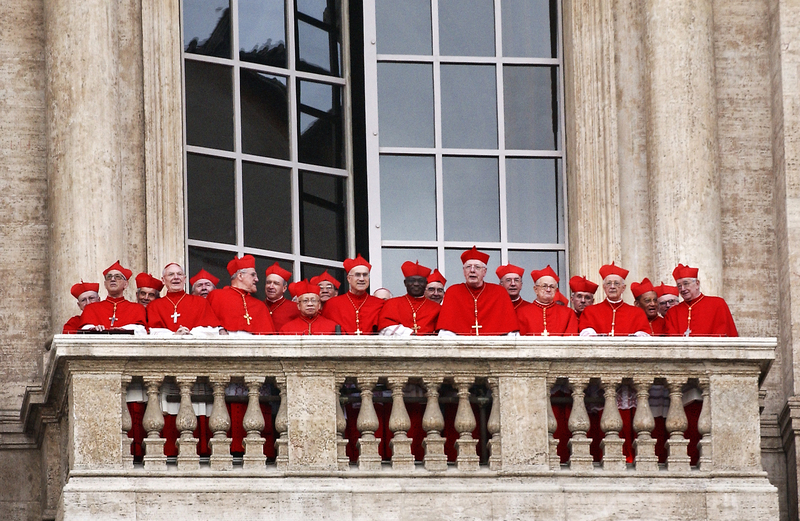 Cardinals are pictured on a balcony as Germany’s Joseph Ratzinger, the new Pope Benedict XVI, appears at the window of St. Peter’s Basilica’s main balcony in St. Peter’s Square. German Cardinal Joseph Ratzinger was elected the 265th Pope and will lead the world’s 1 billion Catholics. 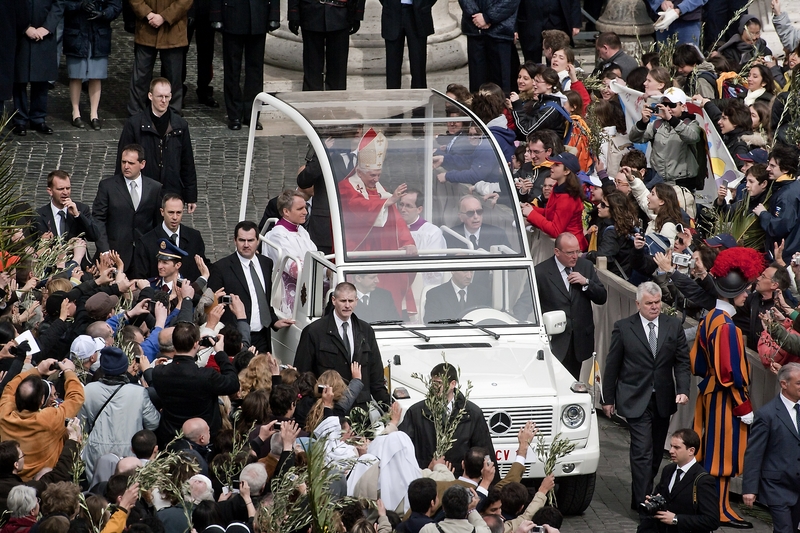 Pope Benedict XVI greats a crowd of pilgrims as he leaves on his “Pope Mobile” after he attended Palm Sunday Mass in St. Peter’s Square. Pope Benedict XVI opened the weeklong celebrations for the Holy week at the Vatican. Pope Benedict XVI gestures to the faithful during the weekly audience in Paul VI Hall, in Vatican City. 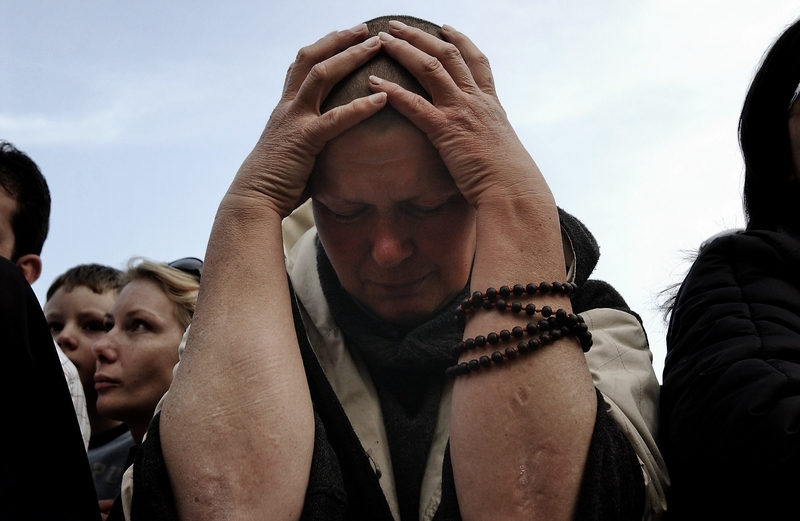 Pope Benedict called for dialogue on Tibet and expressed his sadness for the suffering of the people. 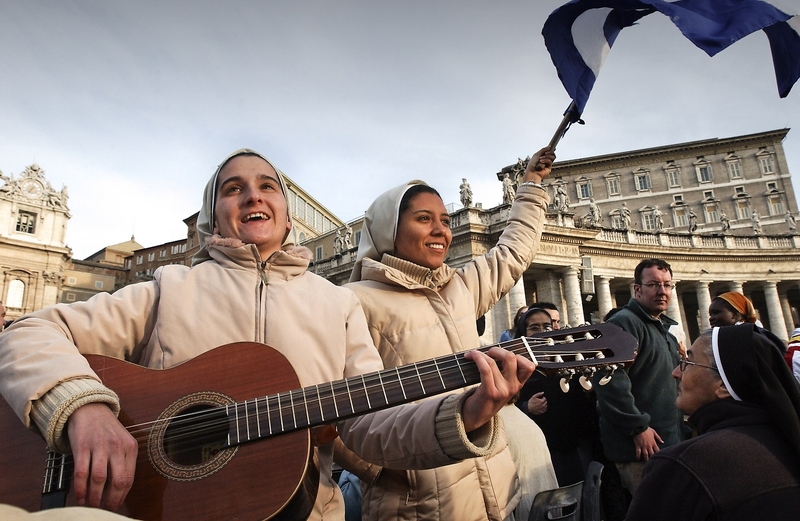 A group of nuns play a guitar and chant as while waiting for the inaugural mass of Pope Benedict XVI in Saint Peter’s Square. Hundreds of thousands of pilgrims attended the mass led by the 265th Pope of the Roman Catholic Church. 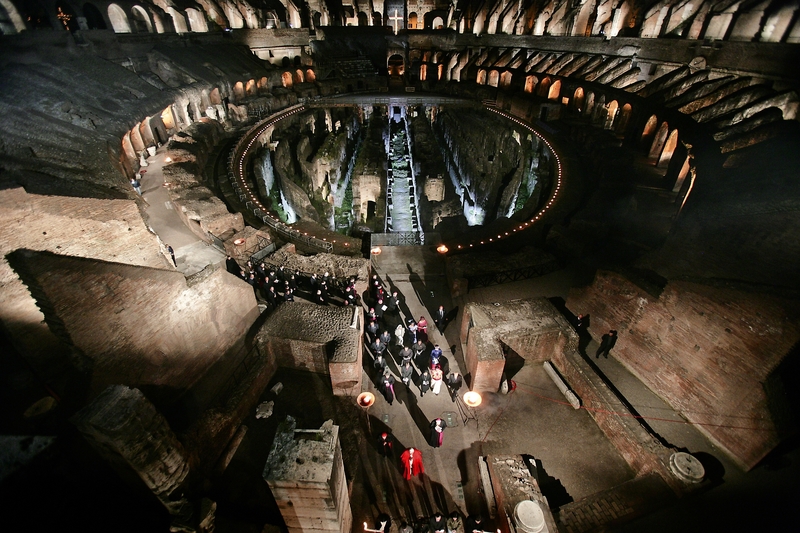 Pope Benedict XVI attends Via Crucis (Way of the Cross) torchlight procession on Good Friday at the Coliseum. The Pontiff is celebrating his first Holy Week since his inauguration. 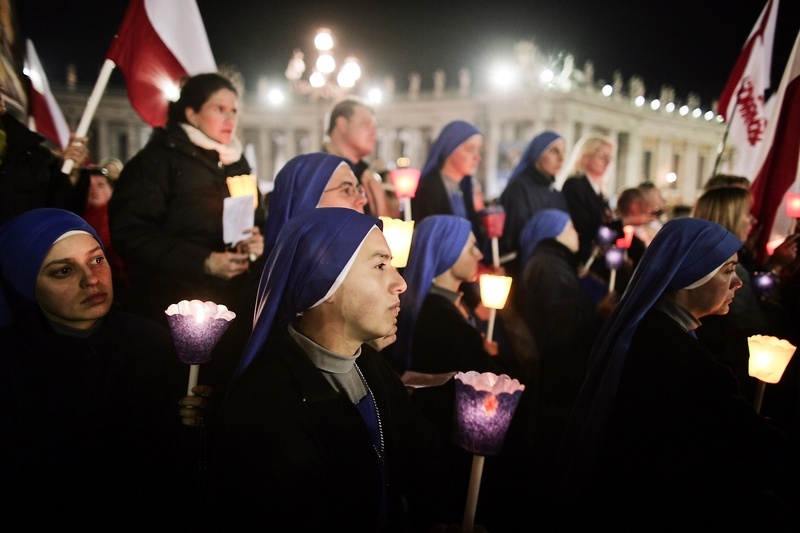 A group of nuns hold a candle during the Recitation of the Rosary to celebrate the first anniversary of the death of Pope John Paul II, in St. Peter’s Square. The Roman Catholic Church celebrated the first anniversary of the death of Pope John Paul II with the Recitation of the Rosary organized by the Diocese of Rome. 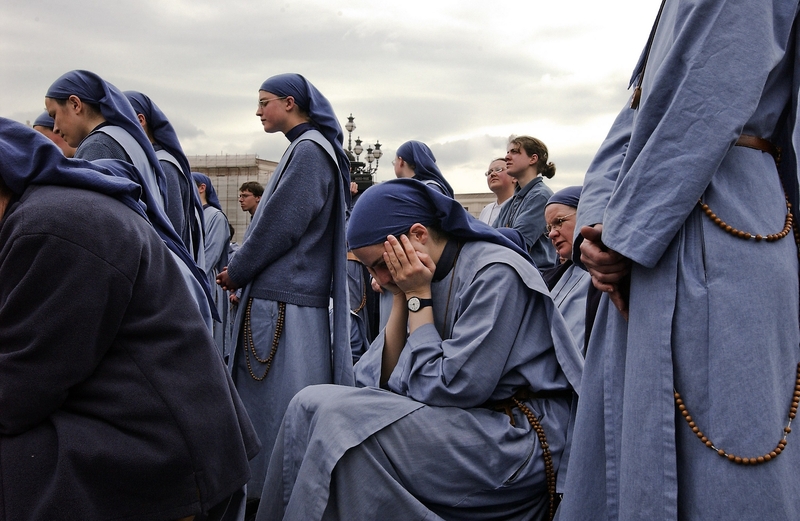 Nuns wait for the smoke to rise from the Sistine Chapel at the end of the first day of the conclave to elect a new Pope in Vatican City. Cardinals under the age of 80 met to elect a new pontiff during the Conclave traditionally held in secret inside of the Sistine Chapel. 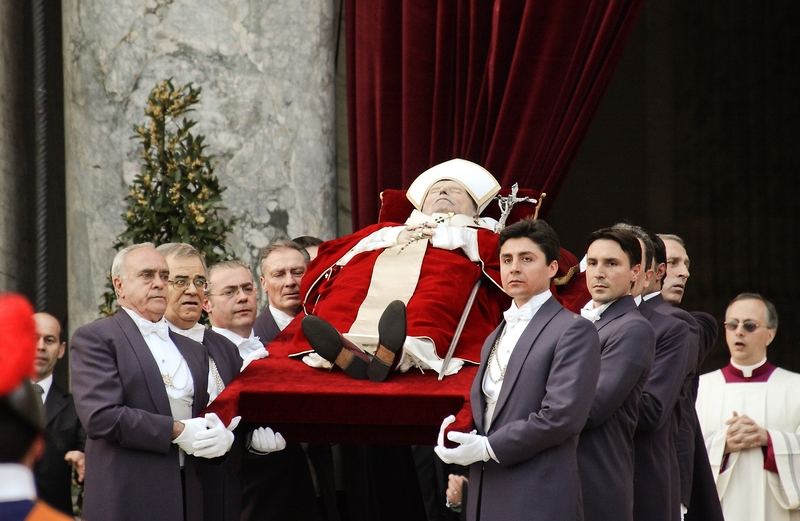 The body of Pope John Paul II is shown to the faithful in St. Peter’s square. 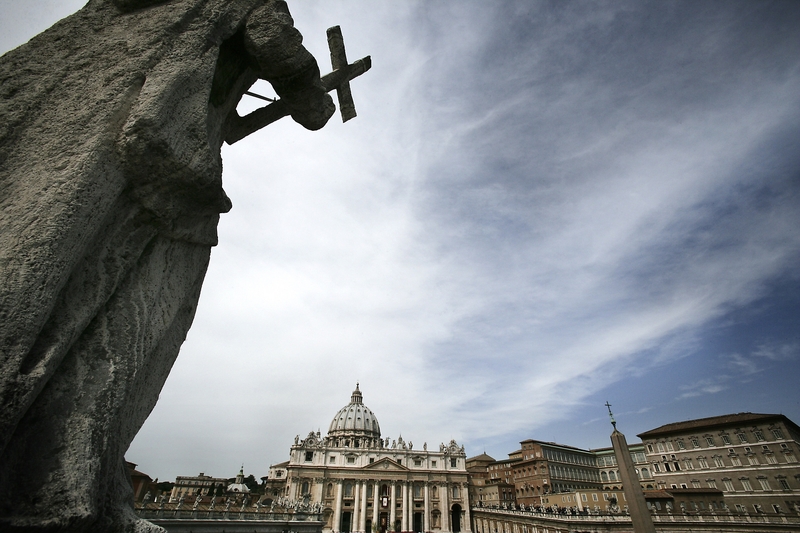 A woman prays as the body of Pope John Paul II is carried through St. Peter’s square. 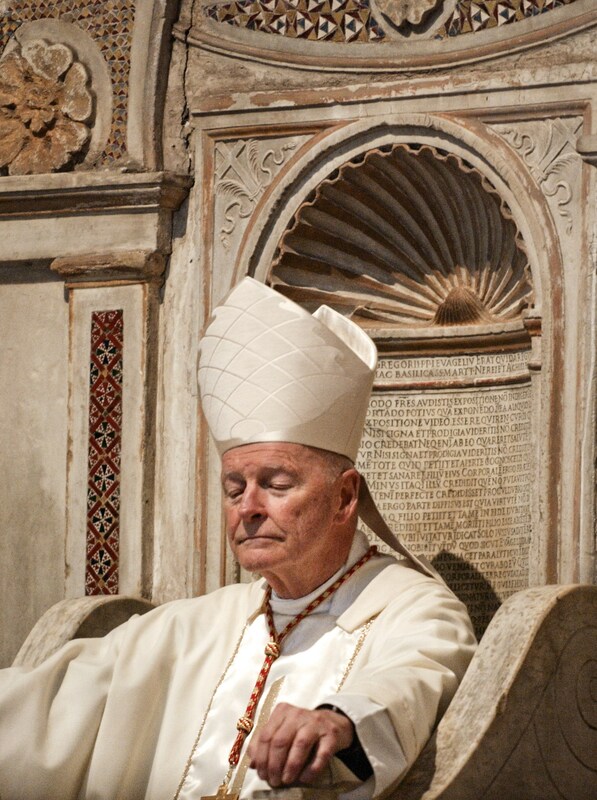 Washington Cardinal Theodore McCarrick, celebrates a mass at Saints Nereo and Achilleo Church ahead of the conclave of Cardinals convene to elect a new pope. 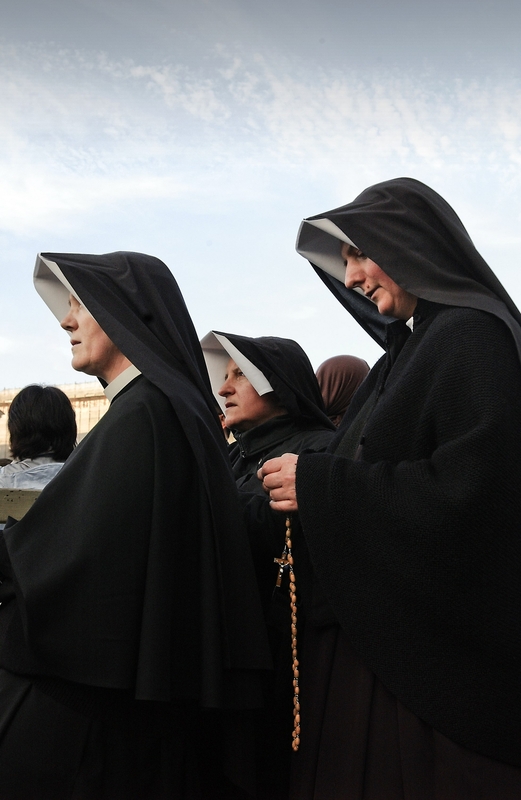 Nuns chant and pray as they wait for the smoke to rise from the Sistine Chapel during the second day of the conclave to elect a new Pope. Cardinals under the age of 80 met to elect a new pontiff during the Conclave traditionally held in secret inside of the Sistine Chapel.